More than a thousand people hit the streets of St. Louis on Saturday for Ferguson October, a protest movement mobilizing in response to the deadly police shootings in the metropolitan area. The protests calling for justice and the end of police brutality were sparked in August, following the fatal shooting of African American teenager Michael Brown in Ferguson, Missouri. Brown was unarmed at the time of the shooting. 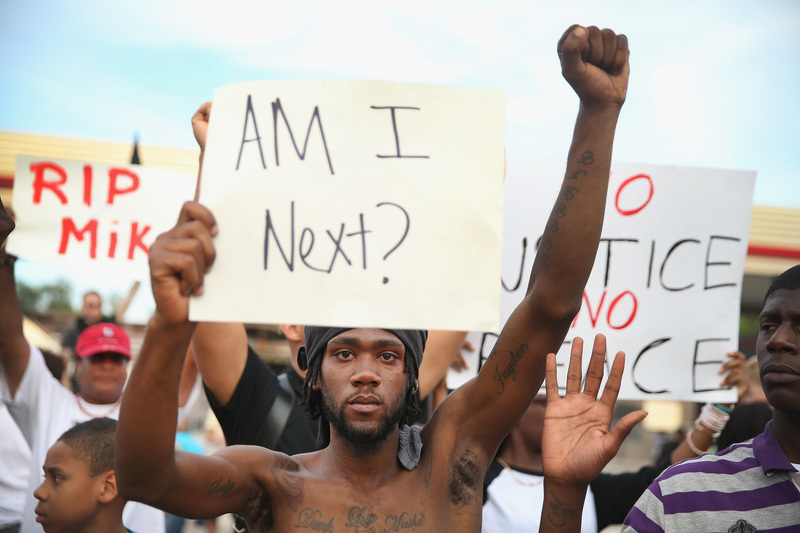 But the Ferguson October movement goes beyond Brown, fighting for justice for police brutality victims Eric Garner, Trayvon Martin, Oscar Grant and John Crawford. Tensions have also heightened in the area since 18-year-old Vonderrit D. Myers was fatally shot in the St. Louis neighborhood Shaw last week. According to The Huffington Post, more than a thousand demonstrators marched in St. Louis on Saturday. The march ended at downtown's Kiener Plaza, where a rally was held. When night fell, protesters reportedly returned to Ferguson, where they marched from the street on which Brown died to the Ferguson Police station. Ferguson cop Darren Wilson, the man who shot and killed Brown, has yet to face any criminal charges in the case. It was bizarre to see police with all of their guns and tank-like vehicles. I did not feel like this was a free, democratic country. Ferguson is a place to learn, where people are teaching and training others new ways to resist together.